Global research and advisory firm Gartner has highlighted the top strategic technology trends that organizations need to explore in 2019 in its special report titled “Top 10 Strategic Technology Trends for 2019”. “The Intelligent Digital Mesh has been a consistent theme for the past two years and continues as a major driver through 2019. 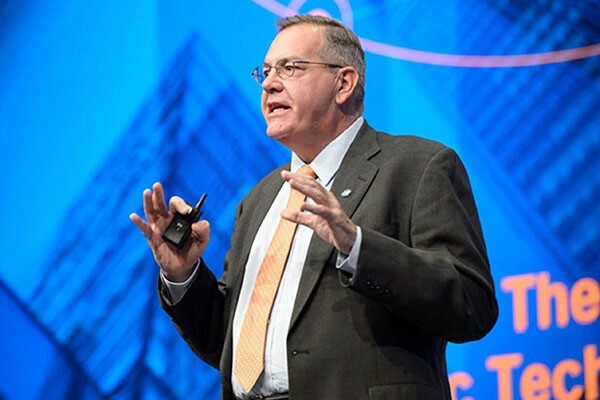 Trends under each of these three themes are a key ingredient in driving a continuous innovation process as part of a Continuous NEXT strategy,” said David Cearley, vice president and Gartner Fellow. “For example, if a drone examined a large field and found that it was ready for harvesting, it could dispatch an “autonomous harvester.” Or in the delivery market, the most effective solution may be to use an autonomous vehicle to move packages to the target area. Robots and drones on board the vehicle could then ensure final delivery of the package. This provides the developer with an ecosystem of AI algorithms and models, as well as development tools tailored to integrating AI capabilities and models into a solution. Another level of opportunity for professional application development arises as AI is applied to the development process itself to automate various data science, application development and testing functions. By 2022, at least 40 percent of new application development projects will have AI co-developers on their team. “Ultimately, highly advanced AI-powered development environments automating both functional and nonfunctional aspects of applications will give rise to a new age of the ‘citizen application developer’ where nonprofessionals will be able to use AI-driven tools to automatically generate new solutions. Tools that enable nonprofessionals to generate applications without coding are not new, but we expect that AI-powered systems will drive a new level of flexibility,” said Cearley. “Over time, we will shift from thinking about individual devices and fragmented user interface (UI) technologies to a multichannel and multimodal experience. The multimodal experience will connect people with the digital world across hundreds of edge devices that surround them, including traditional computing devices, wearables, automobiles, environmental sensors and consumer appliances,” said Cearley. Today, trust is placed in banks, clearinghouses, governments and many other institutions as central authorities with the “single version of the truth” maintained securely in their databases. The centralized trust model adds delays and friction costs (commissions, fees and the time value of money) to transactions. Blockchain provides an alternative trust mode and removes the need for central authorities in arbitrating transactions. A smart space is a physical or digital environment in which humans and technology-enabled systems interact in increasingly open, connected, coordinated and intelligent ecosystems. Multiple elements —including people, processes, services and things — come together in a smart space to create a more immersive, interactive and automated experience for a target set of people and industry scenarios. Quantum computing (QC) is a type of nonclassical computing that operates on the quantum state of subatomic particles (for example, electrons and ions) that represent information as elements denoted as quantum bits (qubits). The parallel execution and exponential scalability of quantum computers means they excel with problems too complex for a traditional approach or where traditional algorithms would take too long to find a solution. Analysts will explore top industry trends at Gartner Symposium/ITxpo 2018 running from March 4 to 6, 2019 in Dubai, UAE.